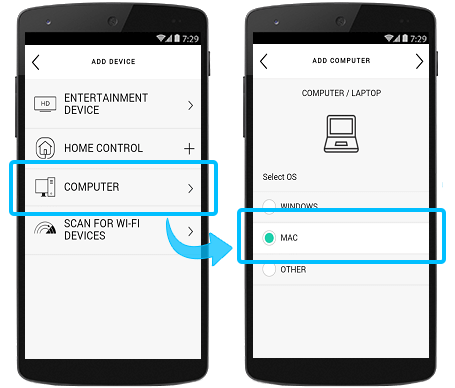 After adding Mac as a device, you'll need to create a Watch PC Activity and configure it to control Mac with your Harmony remote. You'll also need to make some additional changes, which are discussed in this section, to fully control Mac with Harmony. When adding Mac, Harmony will ask you for the manufacturer and model numbers of your television, AV receiver, and other devices that will be included in your Watch PC Activity. 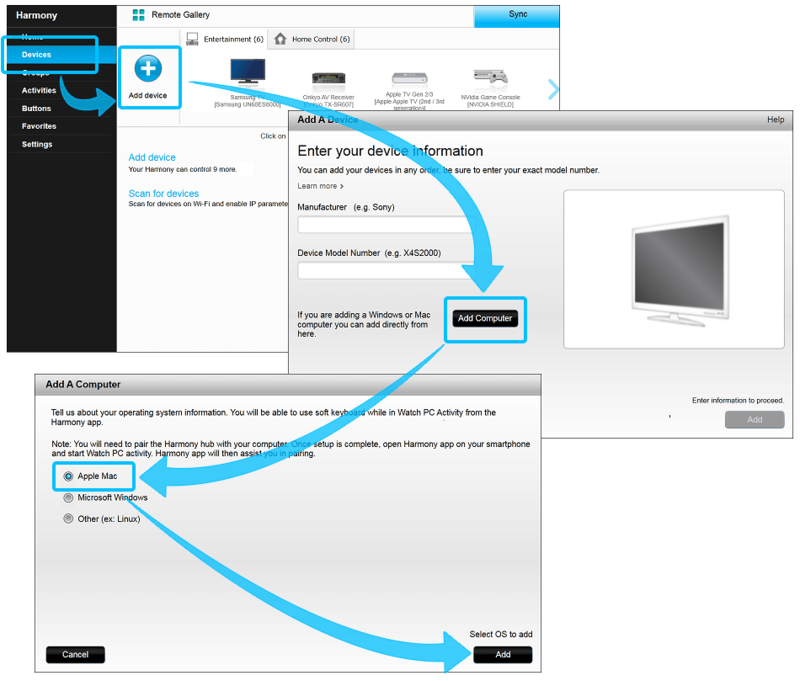 Configure your Activity, allowing it to open, close and control a Mac program using your Harmony remote. When starting your Mac Activity for the first time, you must use the Harmony mobile app to initiate Bluetooth pairing. Harmony will appear as Harmony Keyboard in your list of devices when pairing. Select COMPUTER and enter OS MAC, tap > in the upper right-hand corner. You'll be prompted to Bluetooth pair with Mac. If you're using an IR receiver, select SKIP at the bottom of the screen. In the Launch Application window, select the program you'd like to control with Harmony (e.g., VLC Player) then press Command-S to save. Add a step at the start of your Activity, selecting the keyboard shortcut for the program you'd like to control with Harmony as the new command. 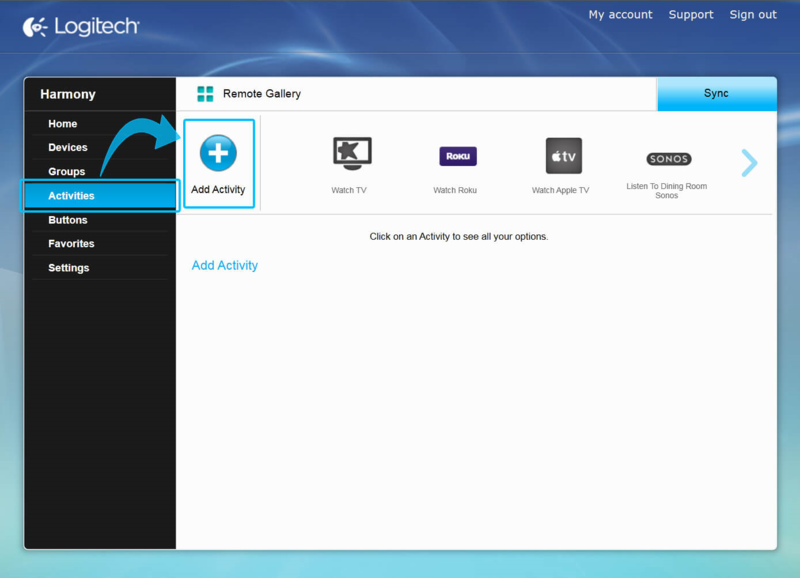 You can configure closing a program with Harmony by customizing a button on your remote to do so (Quit). Select Add Computer, click the Apple Mac radio button, then Add. In the Launch Application window, select the program you'd like to control with Harmony (e.g., VLC Player) and press Command-S to save. Harmony Smart Keyboard can act as a fully functional Mac keyboard, many apps will also allow you to use your mobile device for control functions. Listed below are some popular Mac apps and ways to control them using Harmony. Direction Pad Navigation will navigate iTunes. To Fast-Forward or Rewind Hold down the Fast Forward or Rewind button. Direction Pad Navigation will navigate QuickTime. QuickTime When paused, allows you to move a frame forward or backward using the direction left and right arrows. To set your Mac to respond to the commands of a specific remote control (e.g., Harmony), click Pair, then follow the onscreen instructions. 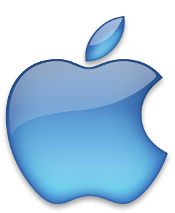 For more information about how Mac integrates with Bluetooth and infrared (IR) devices, please see Apple Support. If your computer supports Bluetooth Harmony Hub may pair and control Mac in this means. If your computer does not support Bluetooth, the Harmony Smart Keyboard USB receiver may be used as a connection between Harmony Hub and Mac.